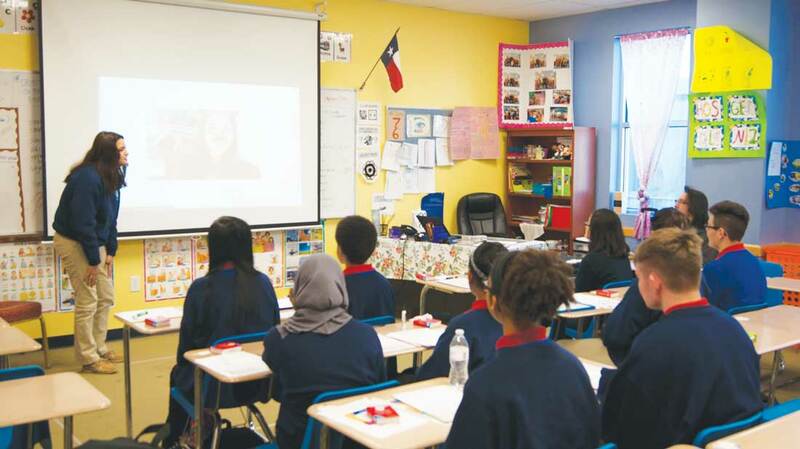 Harmony Public Schools are winning education awards in Texas and beyond, but critics believe they’re revenue streams for an alleged Turkish preacher. Sharon Higgins was just a parent trolling for the truth, a mom whose mission turned into a cause. She began with a single question about a neighborhood school: What on earth is going on here? It was a moment of curiosity that swept Higgins down a path – she calls it a “rabbit hole” – reaching from her home in Oakland, Calif., to Washington, D.C., and into every corner of the world. A common link to it all was a network of so-called Gulen schools, including Harmony Public Schools, the largest charter school operator in Texas. “I fell down the rabbit hole pretty deep,” Higgins said in a phone interview from Oakland. In 2010, she was researching topics for her blog, Charterschoolscandals.blogspot.com, when she came across news articles from Arizona and Utah about the alleged Gulen schools. Charter schools, they were run by Turkish men with apparent links to Fethullah Gulen, a controversial Islamic-Turkish preacher. Alarms went off for Higgins. Photo by Patrick Holden, Jr.
Higgins spent countless hours in front of her computer screen, compiling an encyclopedia’s worth of names, LinkedIn profiles, charter school contracts, and public documents which all tell a bizarre and complex story. Higgins said names from the Oakland school can also be found in connection with Gulen and his alleged network of charter schools. Born in Turkey, Gulen has lived in the United States since 1999 on an Islamic compound in the Pocono Mountains of Saylorsburg, Pa., according to published reports. He has been accused by the despotic Turkish government of orchestrating a violent coup attempt last July. Turkey President Recep Tayyip Erdogan is leading an effort to extradite Gulen, who has publicly denied any involvement in the coup. Bad blood between the 75-year-old Gulen and his homeland runs so deep that in 2015 the Turkish government hired an international law firm, Amsterdam & Partners, to expose the alleged worldwide chain of so-called Gulen schools, claiming that they serve as fronts for misappropriating and laundering U.S. taxpayer dollars. In turn, the law firm asserts, the money is used to fund Gulen organizations and operations around the world, up to and including the attempted coup. Turkish leaders sent the U.S. government documentation that outlines their case for extraditing Gulen. The United States is reviewing the information and has yet to take any action. Higgins wondered why Gulen and his followers are involved in U.S. charter schools in the first place. Is it an attempted coup of the public education system? Harmony schools are some of the highest-achieving schools in the state and the nation, and their ambition fits neatly into state and national agendas for “school choice.” Generally, school choice is an umbrella term that means parents can send their kids to the school of their choice with taxpayer dollars. 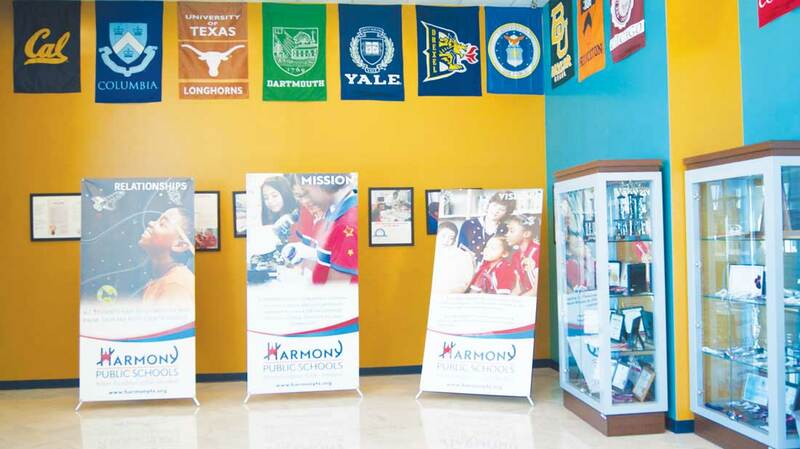 As school districts in North Texas and beyond struggle with closing achievement gaps for minority and disadvantaged students, Harmony claims to have the cure. Harmony leaders say it’s their STEM (Science, Technology, Engineering and Mathematics) curriculum and individualized learning plans. 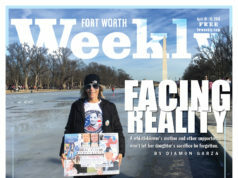 Wanting to extend its model beyond Texas borders, Harmony espouses “educating students across the nation” and “maximizing” its “impact outside of Texas.” It appears Harmony has the political clout to do so through influence that extends from the local and state levels all the way up to the White House. Harmony also has connections with charter schools in Texas and in other states through the consulting work it does for them. Charter schools in Texas are privately managed public schools funded with taxpayer dollars. Statewide, Harmony has 48 schools that educate more than 30,000 students in grades pre-kindergarten through 12. Harmony plans to open seven more campuses by the end of the 2017-18 school year, bringing the total number of Texas campuses to 55. There are three in Tarrant County: two in Fort Worth and one in Euless. Harmony Public Schools also has a sister campus in Washington, D.C., Harmony DC PCS, with a board of trustees chaired by Harmony CEO Soner Tarim. Harmony has won dozens of state and national awards and accolades. Nationally, an estimated 155 schools believed to be affiliated with Gulen operate in 26 states. There are believed to be more than 1,000 of the schools situated in countries throughout the world. 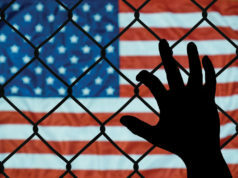 In October, the Texas Education Agency (TEA) slammed shut an investigation prompted by a complaint filed against Harmony Public Schools by Amsterdam & Partners in which the firm alleged a variety of offenses, including misuse of taxpayer dollars, self-dealing, discrimination toward English language learners and special education students, favoritism toward male Turkish teachers, and the abuse of H-1B visas, a federal program designed to allow organizations to recruit and bring in overseas employees when there are severe shortages of qualified American workers. The TEA’s Special Investigation Unit considered two areas of the 32-page complaint: a construction bond guarantee for an out-of-state school and alleged favoritism toward Turkish business owners bidding on school contracts. Other areas were taken off the table or deemed to be out of the agency’s jurisdiction. TEA investigators announced in an Oct. 14 letter to the Amsterdam law firm that Harmony could secure bonds for that out-of-state school, LISA Academy in Arkansas, because the money came from a “local fund” built by private and corporate donations and not Texas dollars. 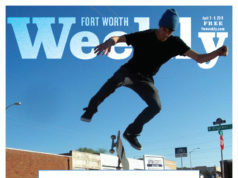 The TEA denied an open records request by the Fort Worth Weekly for a list of the top contributors to the fund, sorted by name and amount. The request had been forwarded to the State Attorney General’s Office, where it was denied. Both agencies cited a purported audit working-paper exception as a basis to withhold the requested information. In another open records request, the Weekly sought the consulting agreements Harmony has with other charter schools. That information was deemed off-limits for the same reason. The state agencies refused to provide the paperwork, though the TEA currently has no open investigation into Harmony. Under state law, the agency has the option of asking the attorney general’s office to support not releasing certain information, she said. As for the TEA’s probe into Harmony’s alleged practice of awarding bids to Turkish businesses, the school produced evidence that it had followed bidding procedures required by state law. The agency was unable to determine if contracts were awarded to Turkish vendors over more qualified non-Turkish vendors, the TEA wrote in the Oct. 14 letter to Amsterdam & Partners. The scrutiny might not be over, though. Amsterdam & Partners is reaching out to other state agencies it hopes will give Harmony a closer look. Rep. Dan Flynn, a Canton Republican, called for a further investigation of Harmony in July. Culbertson said Flynn asked for, and received, copies of the TEA’s notes and other documents related to its investigation. Flynn did not return repeated phone calls and emails seeking comment. Tarim said all of the law firm’s allegations are “without merit,” and he flatly denies any direct connection between Gulen and Harmony. Leaders from the schools all deny a direct relationship to the reclusive leader and to related charter schools in other states. Tarim declined to be interviewed for this story, but he agreed to provide written responses via email. Shortly after the TEA investigation ended, Lt. Governor Dan Patrick began ramping up a push for “school choice” in Texas. Supporters say school choice prevents students from getting stuck at low-performing schools. Opponents say it could deliver a fatal blow to traditional schools by siphoning off their state funding. Patrick is supporting Senate Bill 3 for the 2017 legislative session. Under the plan, the state would establish savings accounts that parents can use to select the school they believe is best for their children. Harmony and other charter schools are delighted at the prospect of welcoming more students, which translates into more state funding. Videos and photos from a recent National School Choice Week rally at the State Capitol in Austin show Harmony staff, parents, students, and other supporters giving speeches, marching, dancing, and wiggling school signs in an excited display of support. Advocates of traditional public schools are not amused by the state’s recent actions. Sixty superintendents from North Texas recently joined together at the Garland Convention & Reception Center to criticize a new state program for grading schools that relies on A through F letter grades. The superintendents called the plan a deliberate attempt by the state legislature to undermine traditional public school districts, WFAA Channel 8 reported. The epic tug-of-war extends into the national arena, where Betsy DeVos, a staunch school-choice advocate, has become education secretary. Ann Sutherland, a Fort Worth school district trustee, said she questions the push for expanding charter schools. “The diligence with which advocates of charter schools are pursuing their expansion makes one wonder how much of the primary motivation is the education of our children,” Sutherland said. So-called Gulen schools are tricky to pin down because they use different names in every state and country where they exist. Critics say that is done to avoid linking the schools to someone as controversial as Gulen. But the connections are visible. The schools are typically led by male Turkish scholars with expertise in STEM. Some have worked for Gulen-related organizations in the past, according to documents provided by Amsterdam & Partners. Across the country, names of the school campuses often include the words “excellence,” “innovation,” and “STEM.” The schools typically have Turkish-dominated governing boards, a practice of hiring Turkish employees through special work visas, and leadership positions dominated by Turkish males, according to the documents. Male leaders for Harmony have worked for Gulen-related organizations or hold other influential Gulen-sympathetic positions in Texas, according to sources and documents. Harmony CEO Tarim serves as treasurer of the Texas Charter Schools Association and is on the board of directors for the Region 4 Education Service Center in Houston, where Harmony is headquartered. The state legislature established the centers about 50 years ago to provide support for school districts in the areas of student performance and operations and in implementing state initiatives, according to Region 4’s website. Documents from Amsterdam & Partners also show that Yetkin Yildirim, a co-founder of Harmony, was a 2009 director of the Gulen Institute, a nonprofit research organization in Houston which defines itself as having a focus on peace and civic welfare. Alp Aslandogan, according to the documents, served as landlord of a Harmony Science Academy and was the 2008-2009 secretary-director of the Gulen Institute. He heads the Alliance of Shared Values, an overarching organization for various Gulen nonprofits, and has served as a spokesman for Gulen. Aslandogan is also a former board president of the Institute of Interfaith Dialog (now called the Dialogue Institute of the Southwest), a Gulen organization headquartered in Houston which promotes peace and mutual respect. 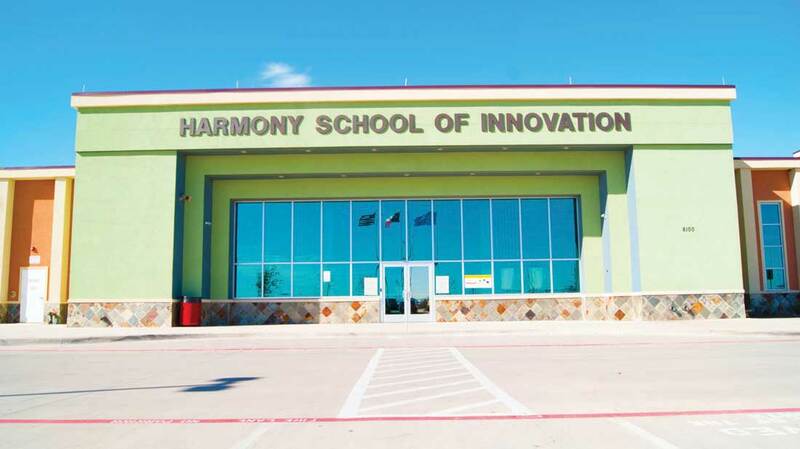 At the Harmony School of Innovation in Fort Worth, school leaders and Harmony public relations staffers recently organized a tour that spotlighted some of their best and brightest students. The campus is home to Miguel Padilla, a senior who earned a perfect score on the Advanced Placement computer science exam. Nearly 60,000 students took the exam worldwide, and Padilla was just one of 10 students to earn the top honor. Other students in the tour group were also exceptionally well-spoken and enthusiastic about Harmony. Lining the hallways are pictures of students and the names of the colleges where they were accepted. The Turkish connection is also visible at the school. In teacher Soner Gozuotlu’s Turkish language class recently, students were giving multimedia presentations – in Turkish – about who they are and their interests. The language is in high demand among government agencies and is a good way to bridge communication between Islam and Christianity, according to the school’s website. “I chose Turkish because it is an in-demand language,” said Laura Roots, a junior. Turkish, she continued, is a language sought by the U.S. Department of State, which means potential scholarship opportunities. About 31 percent of students take Turkish, and 69 percent study Spanish, according to figures provided by Harmony. Both language programs are supported by cultural clubs such as a Turkish folk dance group. Opportunities for overseas travel are also available. Questions remain over whether it is in the best interests of Texas taxpayers and students to have the state serve as a launch pad for a national charter school agenda, especially one with such controversial undercurrents. Controversy seems to follow the alleged network of Gulen schools. In Ohio, Indiana, Illinois, and Louisiana, schools were investigated by the FBI, although no arrests or other reports were made. Other so-called Gulen schools were chastised by auditors in Oklahoma and New York for illegal lease arrangements. In Texas in 2014, Harmony agreed to a $125,000 settlement with a female American teacher who was paid less than her male counterparts from Turkey. That same year, Harmony agreed to a corrective plan by the U.S. Department of Education for reportedly underserving special needs students and English language learners. Harmony leaders have said all of this is old news and that problems have been corrected. Since 2008, the Gulen movement has funded trips for up to 200 members of Congress and their staffs, according to a 2015 story in USA Today. Such activity, critics say, may mean the schools also have political aspirations, though no schools have been tied directly to Gulen. In addition to Texas, Amsterdam & Partners has filed complaints with agencies in Ohio and Illinois that call for the investigation of alleged Gulen charter schools in those states. Tarim dismisses all of the law firm’s assertions as lies. Among other things, moneymaking property deals caught the attention of Amsterdam & Partners. Through arrangements in Texas and other states, the law firm alleges, so-called Gulen schools can siphon taxpayer money out of classrooms and funnel it into the Gulen organization. In its October complaint, Amsterdam & Partners cited concerns with “leasing, financing, and bond arrangements,” as well as business dealings that Harmony has with other alleged Gulen schools. In 2015, Harmony leaders formed Charter School Solutions (CSS), a nonprofit used to buy property, act as a landlord, and provide consulting services to schools and education organizations in Texas and other states, documents show. On the surface, Harmony and CSS appear to be separate entities, but they are really one and the same, according to Amsterdam & Partners. Though CSS was included in the complaint, TEA officials did not opt to investigate it. TEA’s Culbertson said her agency has no jurisdiction over nonprofits designed to serve as education foundations for school systems. Looking at how CSS works may offer some insight into Harmony’s goals and its relationships with related charter schools. 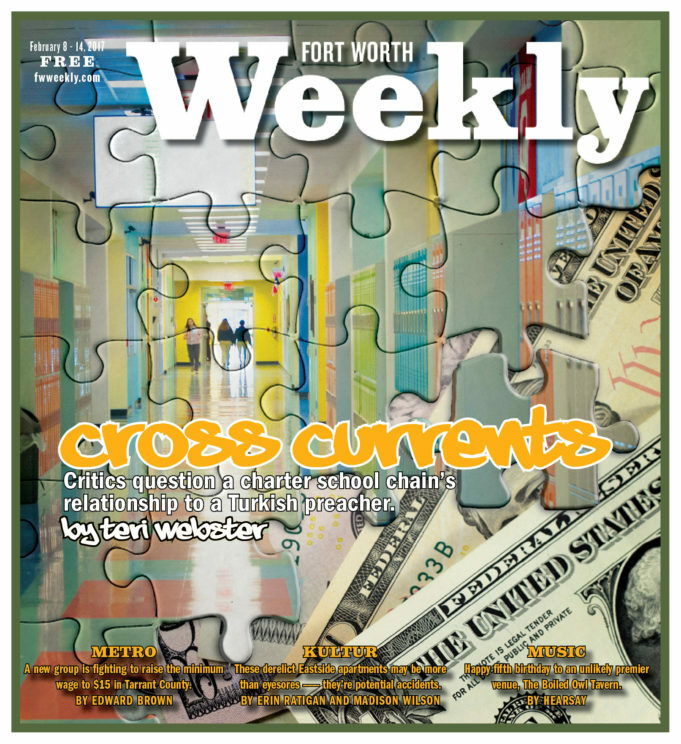 Money and people in leadership positions flow in and out of the schools and their related education foundations, according to documents obtained by the Weekly. In Texas, according to Amsterdam & Partners’ complaint, CSS buys property and leases it back to Harmony at inflated rates, according to an analysis by Amsterdam & Partners. That means the rental payments exceed the price of paying off the property. The arrangements allow millions of dollars to flow back to Harmony, according to the complaint and supporting documents. 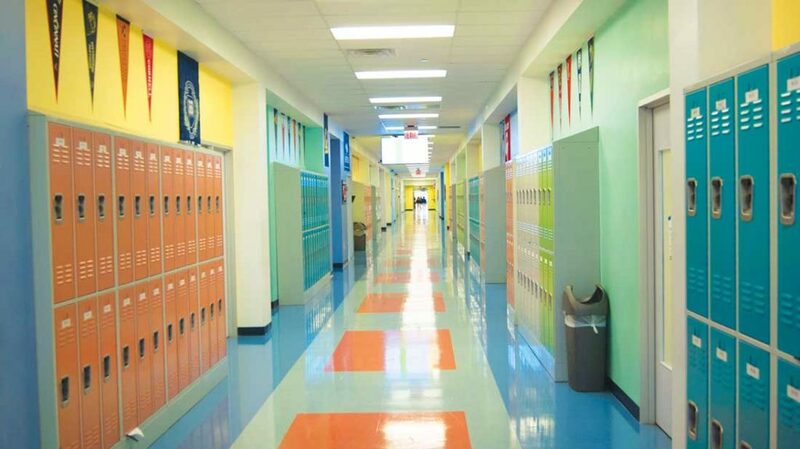 One deal secured by CSS is a $44 million bond for school campuses in Euless, Grand Prairie, Plano, Sugar Land, and El Paso, according to Amsterdam’s analysis. Lease agreements for the properties will provide CSS an estimated profit of $600,000 a year or a total of $18 million over the life of the bond. “Like all of the other fallacious accusations leveled at Harmony by this law firm, this is simply not the case,” Tarim said. The campus of the Euless Science Academy, located in a former Kmart, features a bright and spacious entrance. Inside, the library is tiny, the gymnasium small, and the classrooms have no windows. Despite its modest interior, the lease payment is the costliest of the five schools included in the $44 million bond, according to documents obtained by the Weekly. CSS supports schools and related educational organizations in Arizona, Arkansas, Kansas, New Mexico, Mississippi, Missouri, Louisiana, Oklahoma, and Tennessee in addition to Texas. CSS also serves as a landlord for a New Mexico school construction project, according to the documents. When combined with Texas leases, CSS stands to receive $780,000 annually in revenue from lease payments, according to Amsterdam & Partners. Tarim acknowledged that part of CSS’s purpose is to expand Harmony’s model. Tarim referenced a “global workforce” and a worldwide interest in Harmony’s model. Tarim also explained the kind of consulting services provided by Harmony. CSS charges other, non-Harmony schools $80 to $120 an hour for consulting services in the areas of technology, strategic planning, efficiency analysis, and leadership, to name a few, public documents show. The documents also show that Harmony licenses or provides its “intellectual property” at a cost of $15,000 to $147,000 per school year. In the fiscal year ending June 30, 2015, Harmony received $1.2 million from the service agreements, according to the public documents. In San Antonio, Harmony provides an array of services for Riverwalk schools, a small charter school chain. Under the agreement, each Riverwalk school forks over 5 percent of its state funding to Harmony in exchange for consulting services, according to bond documents. Harmony charges its sister campus in Washington, D.C., a fee equal to 5 percent of the state and local per-pupil funding received by the campus, Harmony DC PCS. The three directors of CSS have direct links to Harmony, Dove charter schools, and the Sky Foundation in Oklahoma, or to various Turkish cultural organizations associated with Gulen, Amsterdam & Partners documents show. For example, Bilal Erturk, a CSS director, has served as president of the Dove Science Academy and Sky Foundation in Oklahoma. State auditors in Oklahoma have condemned the way the Dove Science Academy and the Sky Foundation handle money. The Dove Academy and the Sky Foundation operate similar to Harmony schools and CSS. One similarity is the arrangement for property lease payments. Auditors have said that Dove Academy paid the Sky Foundation about $3.1 million in rental payments that were above and beyond the price to purchase the property. “With the Sky Foundation and the schools functioning as one and the same, we could find no legitimate purpose for the continued charging of lease payments above and beyond the purchase price of the facility,” the Oklahoma audit report states. The audit also slammed the Sky Foundation for giving $175,000 in public funds to Harmony for a science fair in Houston. Public funds from Oklahoma were allegedly used to sponsor the out-of-state event attended by no students from the Dove Science Academy. Therefore, it was an apparent violation of the school charter and the Oklahoma constitution, the audit report stated. Critics say money generated by the lease agreements amounts to a hidden public tax. Texas charter schools are privately managed public schools that receive state and federal taxpayer dollars. Generally, charter schools are bound by fewer regulations than traditional school districts. In Hall’s 2016 film, Killing Ed, whistleblowers, researchers, former employees, and education experts examine what they call corruption associated with so-called Gulen charter schools. Unlike traditional public schools, charter schools do not have to justify major construction projects that require construction bonds. Independent school districts must inform their taxpayers and citizens about the cost of a project, the scope of it, and any associated property tax increase. The public must also vote to approve the project before it can begin. That is not the case for charter schools. With zero public input, a charter school board of directors can vote to construct or expand schools and begin to secure funding for the projects. Arrangements similar to the Harmony-CSS relationship are found in alleged Gulen-inspired schools in Ohio, California, Illinois, and New York, according to Amsterdam & Partners. In each case, an external organization with ties to the schools is positioned to receive millions of dollars. The Los Angeles Unified school board had voted 6-0 to close three so-called Gulen schools called Magnolia by the end of the current school year, but the effort failed. The Los Angeles County Office of Education, opposing the Los Angeles Unified School District and its own staff, overturned the decision, according to a report in the Los Angeles Times. During an investigation, California auditors found that Magnolia schools used a related entity, Accord, to pay inflated rates for a number of educational services. “Accord is the classic example of an affiliated entity serving very little purpose other than apparently to pull funds from the school operators to use on behalf of the Gulen movement,” said Amsterdam & Partners’ Martin in a phone interview with the Weekly. Martin calls them “cut-out organizations.” They appear as separate entities at the surface but are really one and the same. Harmony defends its arrangement with CSS, saying it is completely legal and legitimate. Corporations similar to CSS were created because charter schools do not receive the same level of building funding as traditional public schools, said Harmony general counsel Robert Schulman in a written response. 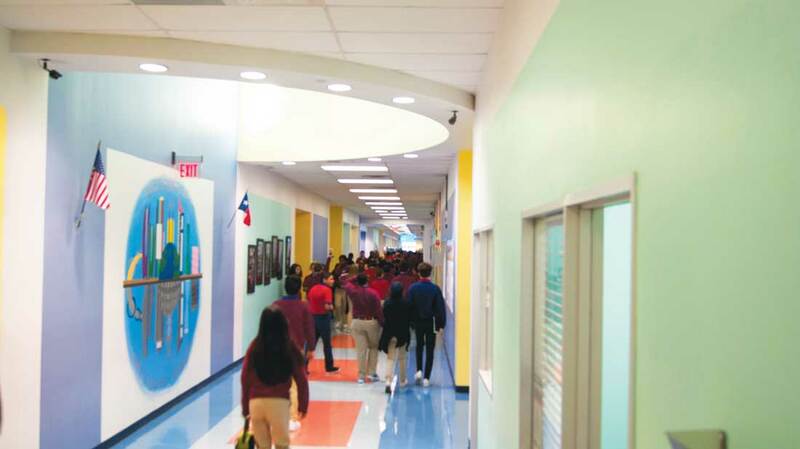 A charter school’s use of related nonprofits is recognized and authorized by Texas state law and the Internal Revenue Service, Schulman said. “CSS was designed for and is dedicated to offer Harmony custom-built, low-cost, leased facilities and to fund Harmony’s student scholarships and educational programs,” he added. Harmony claims any connections to Turkish cultural groups or to Gulen are irrelevant and based on speculation and innuendo. Schulman said in an email that the most important factor is student achievement. He pointed to the numerous awards the schools have won. This year, six Harmony campuses earned seven academic distinctions –– the highest number available –– from the TEA. Four hundred schools statewide received the honor. Surrounded by dozens of his followers, Gulen remains in self-imposed exile at his compound in the Poconos. From there, he is said to oversee an international education and business empire worth tens of billions of dollars. His health is reportedly frail. In the United States, he is known for promoting peace, education, and interfaith dialogue. His earlier teachings, however, tell a different story. Some of his past writings and videos suggest a disdain for the Western world. On his website, Fgulen.com, he writes about judgment for the nonbelievers of Islam. He also described Westerners as subhuman prior to his arrival in the United States, according to the German magazine Der Spiegel. Gulen has publicly defended his words by saying they have been taken out of context. A 1999 video shows him instructing his followers to infiltrate Turkish organizations by stealth until they are deep inside every “power center.” Some say the video revealed Gulen’s secret power play to take over Turkey. Still, it strained his relationship with Turkish leaders so badly that he fled the country. In another video rant, an animated Gulen curses about the people of Turkey and calls upon his followers to destroy them. Through a series of international media reports, Gulen went as far as saying the Turkish government staged the coup to make him look bad. Gulen reportedly came here for health reasons, yet he arrived around the same time he was accused of creating unrest in his native country. His network of charter schools was used as proof of his educational expertise and allowed him to secure a green card, the Philadelphia Inquirer reported in 2011. Back in Oakland, blogger Higgins remains concerned and highly skeptical of it all. The complexity and depth of the issues, Higgins said, are so daunting they make it difficult to drum up public support. Filmmaker Hall said a lack of interest in the mainstream media is also to blame. One example from the film is undercover footage taken by a teacher that shows a special education student repeatedly sitting on the floor in the hallway near the door of classrooms at a Harmony school. Other teachers raise allegations in the film of cheating and coaching students for tests. Harmony leaders deny these accusations, as well.